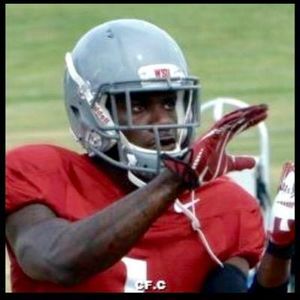 WSU morning links: WR Priester could play in 2015? Washington State might get lucky invoking a little-known transfer rule to help WR Kyrin Priester avoid having to sit out this year. Priester is a Clemson transfer. LEWISTON, Idaho — Good morning from Lewiston, where I’ll be heading out to Washington State football camp this afternoon. Priester, a redshirt freshman receiver, subsequently signed with WSU, and now the Cougs are hoping he’ll be able to play for them this year. The key here is a seldom-invoked NCAA transfer rule known as the “run-off waiver”. Former Division I athletics compliance officer John Infante explains the run-off waiver in this blog post on Bylaw Blog, but basically the waiver allows players who were “run off” their teams for reasons outside their control to get a new opportunity to play at a different school without having to sit out a year. Documentation demonstrating that the student-athlete would not have had the opportunity to return to the previous institution’s team for reasons outside the control of the student-athlete. A written statement from the applicant institution that the student-athlete is in good academic standing and meets all progress-toward-degree requirements at applicant institution. A written statement from the student-athlete’s previous institution indicating that the previous institution supports the request. WSU had already submitted a waiver appealing on Priester’s behalf, and on Friday Thorpe wrote that it’s “very likely” Priester will get to play for WSU this season. — After losing three-star 2016 QB Ian Book to Notre Dame last week, the Cougs gained a new quarterback commit on Friday when Flour Bluff (Texas) QB Cody Brewer committed to WSU. — ESPN.com’s Chantel Jennings predicts that the Cougs will battle the Huskies for a fourth place finish in the Pac-12 North and she says the best case scenario for WSU this year is a 7-5 record. — ESPN.com also has this entertaining clip of Mike Leach describing his first job. Hint: It involves truck driving. — SB Nation Coug Center’s Scott Cresswell jumps back to 2012 and analyses the hits and misses from Leach’s recruiting class that year.